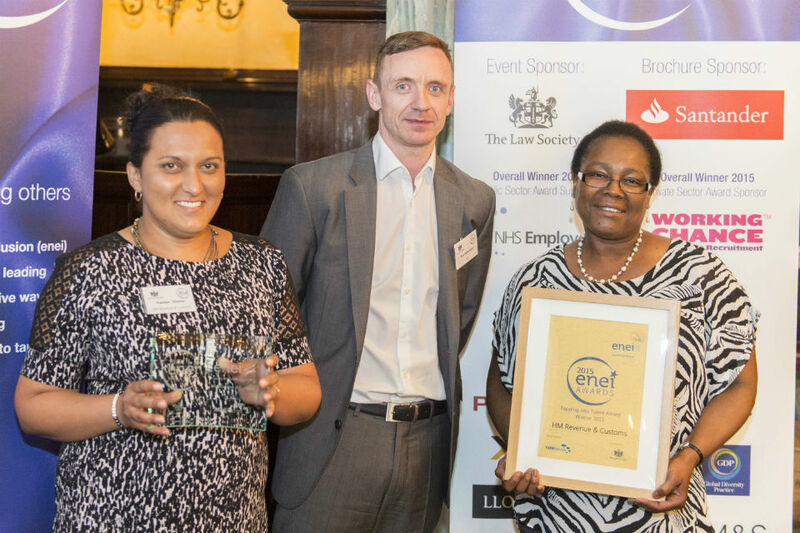 The Civil Service was prominent among the winners at yesterday’s ENEI (Employers Network for Equality & Inclusion) Awards at the Law Society in London. 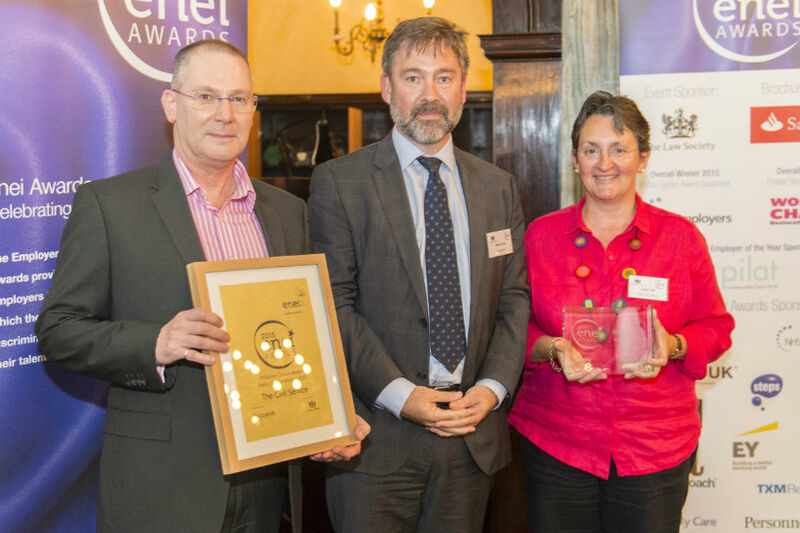 In all, Civil Service teams took home an impressive total of eight awards, including the overall public sector award for Cafcass (Children and Family Court Advisory and Support Service). 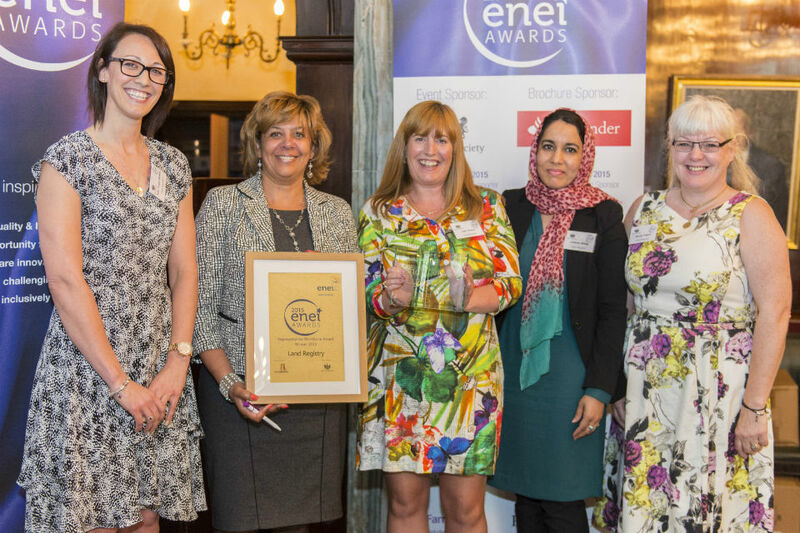 The ENEI Awards, in 22 categories, covering both the public and private sectors, recognise organisations taking a lead in challenging discrimination in the workplace and working inclusively to tap into the talent in their workforces. Winners had to demonstrate a clear response to a specific challenge; definitive and measurable outcomes; and evidence of significant impact. In 2009, Ofsted judged Cafcass ‘inadequate’ in its equality and diversity. 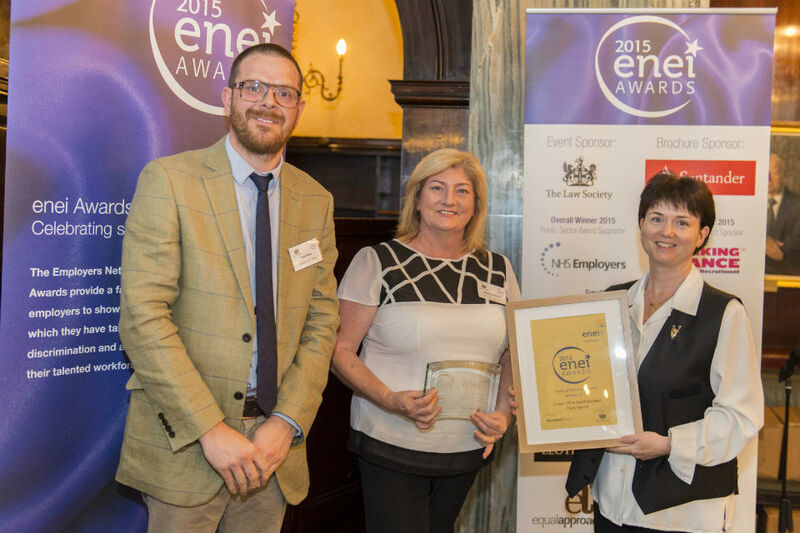 Now, just six years later, as well as its overall ENEI award, Cafcass won the Excellence in Training and Wellbeing at Work categories. The Civil Service as a whole was the public sector winner of the Inclusive Culture Award. The citation for the award said that while the Civil Service outperforms other sectors in terms of inclusion in some aspects, it acknowledges that “difference of thought, background and culture leads to improved decision making and innovation”, adding that the Talent Action Plan ‘is a clear demonstration that they are striving to be even more inclusive”. 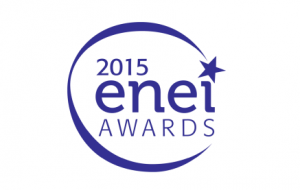 I want to congratulate all the Civil Service teams that were recognised in the ENEI awards. This is a terrific endorsement of the progress we are making towards a Civil Service that is a truly diverse and inclusive place to work, where everyone is free to be themselves and has an equal opportunity to achieve their potential. There is much more to do, but independent recognition of this kind suggests we are moving in the right direction and encourages us to press on. The judges noted that the department’s Declaration Campaign to increase staff response rates on ethnic background, religion or belief, and sexual orientation was now “seen as best practice in central Civil Service guidance”. Between 2007 and 2015, the agency increased the representation of women in senior roles from 23% women to 36%; and the success of its employee networks is shown by its rise to the top 30 in the Stonewall Workplace Equality Index. The department was recognised for its embrace positive action career management programme for BAME staff, which now has around 100 participants and previously won the Race for Opportunity Talent Award in 2014. The judges said that the many staff involved in various COPFS initiatives to implement the Equality Act 2010, as well as the team members themselves, showed the organisation’s commitment to mainstreaming equality and inclusion. The team itself had been extremely effective in achieving the project objectives. 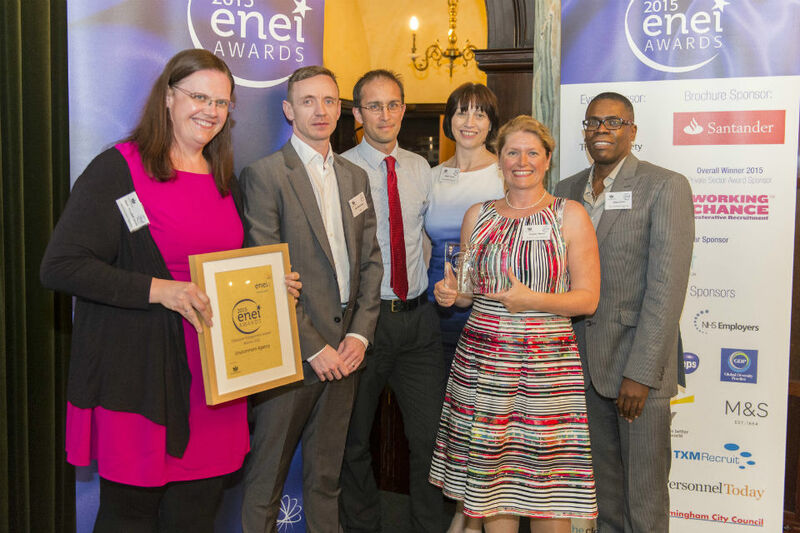 The Civil Service as a whole was highly commended in the Tapping into Talent category, as was Environment Agency’s Women’s Network in the Employee Network of the Year category. The Civil Service, the Home Office, the Department of Transport, MoJ, Land Registry and COPFS were shortlisted for the Community Impact Award. You can see in full what the judges said about the winning teams here. There's a shame, comments disabled on the next article, the Prime Minister's exhortation for clarity.